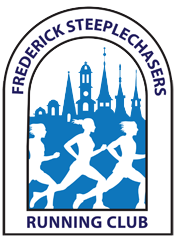 This scenic and rolling 10K course will take you on a journey through the heart of Frederick County’s dairy production region. The course celebrates spring’s awakening, taking participants past numerous farms, along Catoctin Creek on a dirt road, and across two, one-lane, wooden deck bridges. Custom bibs, finisher’s medals, 5-year age group awards, and tech shirts await those that run this beautiful but challenging 10K! If you’ve got the will, we’ve got the hills!